In one of the biggest match-up’s in the AFC this season so far, the Cincinnati Bengals are heading on the road to take on the Pittsburgh Steelers. While the Bengals are sitting at 8-6 and the Steelers are 7-7, the loser of this game is going to find themselves in a tough spot in terms of a potential run to the playoffs. The Bengals are on the road playing in Pittsburgh as well, which is a tough task for anyone. The Bengals won last week in a big one, and the Steelers lost a brutal one in overtime after Big Ben was picked off by Brandon Carr. Tough loss, and both teams are in need of this win. Kickoff here is set for 1:00pm EST, and the game between these two AFC North rivals could see the Bengals possibly creating a tie at the top of the division if the Ravens lose as well. Lets make a bet! Get great odds this top sportsbook. The Bengals have a young core of players that is very impressive including second year players in Andy Dalton and AJ Green, who have consistently connected over the past two season. Jermaine Gresham has also been a nice option for Dalton also, and the free agent acquisition of BenJarvus Green-Ellis has been huge, as he has excelled with this team throughout the year. The Bengals defense has impressed me as well, and this weekend they are going to need to get some pressure on Big Ben to pull out this road win, as you can bet that the Pittsburgh fans at home are going to be ready to make some noise. The Steelers were left heartbroken after last weekends stunning loss to the Cowboys, and it was a game that they really had to feel good about when they got the ball to start overtime. 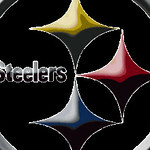 Losing this game for the Steelers would be just about a wrap on their season, so this is huge for them. The defense needs to get all over Andy Dalton, and most importantly make sure that they shut down AJ Green and don’t let him get into a groove. If AJ Green gets rolling then the Steelers could be in for a long one, as him and Dalton have one of the best connections out there. Get the best odds when betting on the Bengals! Bet at this top online bookmaker. Steelers are -3.5 to open this game. You have to love the late season rivalry games like the one we have here. Both of these teams have everything to play for, so we can fully expect it all to be left on the field. Andy Dalton has made huge strides this season and looks to be a great quarterback in the future. Big Ben is still his normal self and can make those big plays that we all have gotten to love from him. With that being said, I don’t trust the Steelers right now. Something simply isn’t right about this team, and it showed last week against the Dallas Cowboys. They didn’t make the big plays and couldn’t get the job done, which is not like them. 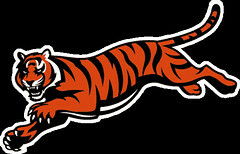 I’m going with the Bengals due to their offense and upgraded defense to win this one by a field goal by the score of 24-21.